Thanks to all who’ve entered the Compassion Tea Giveaway. Congrats Lauren for winning and Good Luck on your new cafe shop endeavor! Please send your shipping info to lezoe2012@gmail.com. 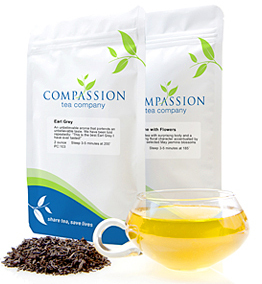 To check out Compassion Tea, please click here. Yay! Thank you so much! Email sent!